Dental disease is the most common ailment among cats and dogs with a tendency to cause serious illness and discomfort. 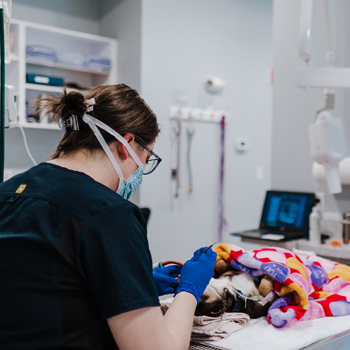 What’s more, most pet owners are not even aware that their pet may be experiencing, or suffering, from dental disease until it has progressed. Regular pet dental exams and cleanings can help prevent painful oral conditions. As well as secondary long-term systemic problems, like heart and kidney disease. 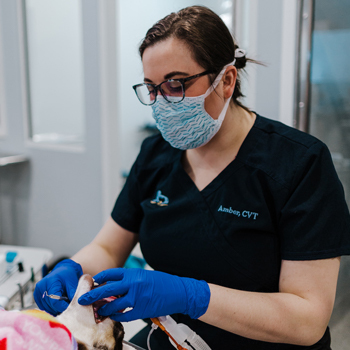 Dental disease can affect pets of all ages and breeds, from the heavy chewers that cause tooth traumas to the generalized tooth decay from little to no preventative care. Even genetics can play a major role in a pet’s oral health. Schedule a dental examination today and find out if your pet’s mouth needs more attention! Our advanced dental facility is equipped with quality equipment and our doctors use progressive treatments for best results. The dental procedure begins with an examination and evaluation of the dental problem to determine the severity of the case.